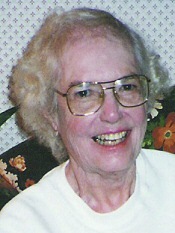 Elizabeth S. "Beth" Bowers, '48, served as the Washburn Law Librarian for two years following her graduation from Washburn University School of Law. She completed law school in two years. In 1950 she was hired as a law librarian at Creighton University School of Law in Omaha, Nebraska. Bowers was a construction contract lawyer for the Corps of Engineers in Omaha, a hearing officer for the Federal Aviation Administration in Washington, D.C., and then for the Social Security Administration in Lansing, Michigan. From 1972 to 1982, she worked for the Nuclear Regulatory Commission as an Administrative Law Judge. In 1976, she received a Presidential Appointment to a panel on "Women in High Level Government Positions." She was Chair of the Atomic Safety and Licensing Commission when she retired. In Bob and Elizabeth Dole's book, Unlimited Partners, Bob Dole credits Bowers as the person who influenced him the most to enter politics. While at Washburn Law, The Honorable Paul Brady, '56, worked with future Justice of the Supreme Court, Thurgood Marshall, who was in the midst of the historic Brown v. Topeka Board of Education case. Brady's aunt was one of the plaintiffs. After graduating from Washburn, Judge Brady entered private practice in Chicago for 11 years. In 1968, he was the first African American attorney employed by the Federal Power Commission, and in 1972, he was named a Federal Administrative Law Judge, the first African American to receive this appointment. Brady is a retired Federal Judge who was a trail blazer and mentor for African American attorneys during his distinguished 40-year career. He is a life member of the NAACP. In 2004, Brady received the Washburn University Honorary Doctor of Law. He currently resides in Atlanta, Georgia. Following graduation from Washburn University School of Law, Harold Fatzer, '33, moved to Kinsley, Kansas, and was elected the Edwards County Attorney. He served in the Army from 1942-45. Fatzer was Kansas Attorney General from 1949 to 1956. While Attorney General, Fatzer represented the State of Kansas before the United States Supreme Court during oral arguments of the Brown v. Board of Education case. He was appointed to the Kansas Supreme Court in 1956 and became Chief Justice in 1971. 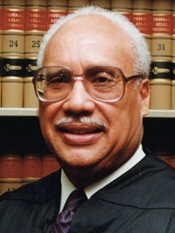 He served on the Supreme Court until his retirement in 1977. Fatzer played a major role in getting Kansas voters to adopt a new judicial article for the Kansas Constitution. He provided the foundation for non-partisan selection of district court judges, trial court unification, and establishment of the new Kansas Court of Appeals. He served as a leading force in winning final approval for construction of the Kansas Judicial Center. 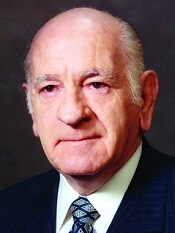 Mark Garlinghouse, '39, began his career with the Bell System in 1940 in New York City. In 1950, he was named general solicitor for Southwestern Bell in St. Louis, Missouri. He served as vice president and general counsel from 1953-65 at which point he was promoted to vice-president of regulatory matters for AT&T. He served as vice president and general counsel for AT&T in New York City from 1972 until his retirement in 1980. As vice president and general counsel, Garlinghouse oversaw the work of over 700 attorneys in the 21 Bell System Companies. During his 40-year career with AT&T he was involved with regulatory matters, labor relations, pricing policy and antitrust. He practiced law before the U.S. Supreme Court, the U.S. Court of Appeals for the Second Circuit, and the U.S. Court of Appeals for the District of Columbia Circuit. 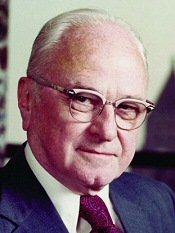 He served as a director of numerous organizations, including Ohio Bell Telephone Company, AT&T Long Lines, American Bell, Incorporated, Sun Chemical Corporation, and United Brands Company. In 1978, Garlinghouse was invited to give the commencement speech at Washburn University School of Law, and he received the Honorary Doctor of Law degree. Edna Hopkins, 1918, was the daughter of a lawyer and had taught English at Topeka High School before starting law school. She attended Bryn Mawr and Simmons Colleges after receiving her A.B. degree from the University of Kansas. Shortly before graduation from Washburn University School of Law, she loaned the school her late father's entire law library to help it reach the number of volumes required by the Association of American Law Schools. Hopkins was admitted to practice in Kansas in May 1918. 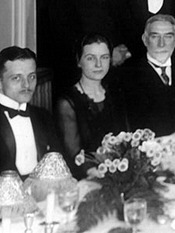 She moved to New York City in October 1918, joining a nine-attorney firm, Curtis, Mallet-Prevost, Colt & Mosle. Initially she was employed as a law clerk, but after passing the New York Bar, she continued as the firm's first woman associate. Hopkins was offered a partnership; however, she declined the offer and continued practicing law until 1962. The Honorable Patrick Kelly, '53, was a judge and later Chief Judge of the U.S. District Court for the District of Kansas. He began his law career at the firm of Kahrs and Nelson in 1955, and later that year, he formed a partnership with John C. Frank, specializing in civil trial work. After a seven-year partnership with Richard Render and Albert Kamas, in 1975 he withdrew from the partnership to start a solo practice. In 1980, he was appointed to the U.S. District Court for the District of Kansas, becoming the first native Wichita attorney to sit on the federal bench. Kelly is best known for his role during the 1991 "Summer of Mercy" abortion protests in Wichita. Thousands of demonstrators were arrested during the 45-day event, which was organized by the anti-abortion group Operation Rescue. The group's founder, Randall Terry, dubbed Kelly a "Nazi judge" when Kelly ordered protestors to stop blocking the entrances of the clinic of Dr. George Tiller, one of the few physicians in the country to perform late-term abortions. The Court of Appeals struck down Kelly's ruling on abortion protesters but Congress affirmed his intent by passing a law making it a federal crime to block clinic entrances. He was awarded the Distinguished Service Award by the Washburn University School of Law Alumni Association in 1991, and in 1996, he retired from the bench after serving as the Senior Judge of the U.S. District Court. 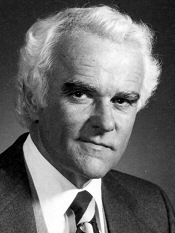 The Honorable Joseph W. Morris' career has focused on oil and gas law and on alternative dispute resolution. 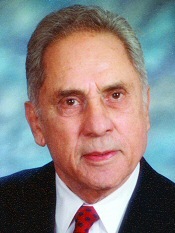 He served as General Counsel of Amerada Petroleum Corporation from 1960 to 1972. He was an adjunct professor in the College of Law, University of Tulsa for 20 years, and served as Dean from 1972 to 1974. He was Chief Judge of the U.S. District Court for the Eastern District of Oklahoma from 1974 to 1978, and Vice President and General Counsel of Shell Oil Company in Houston, Texas from 1978 to 1983. Morris has been on the Board of Directors and a Shareholder in Gable & Gotwals from 1984 to the present. 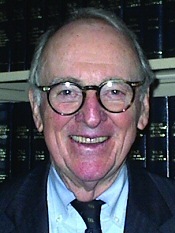 He has lectured at the Center for American and International Law (CAIL) and the Rocky Mountain Mineral Law Foundation, lectured on alternative dispute resolution at the International Development Law Institute in Rome, Italy, and authored numerous articles and essays for professional law journals, including Washburn Law Journal (volumes 7 and 45). The Honorable Joseph W. Morris Endowment Unrestricted Fund benefits Washburn University School of Law. Morris currently resides in Tulsa, Oklahoma. After graduating from Washburn University School of Law, Charles Scott Sr., '48, joined his father and two brothers (John and Elisha Jr.) at the family firm. He and his father were successful in securing racial integration of elementary schools in South Park, Johnson County, Kansas. 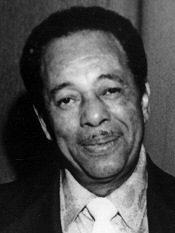 He represented with his brother, John, plaintiffs in several cases that sought to allow blacks access to swimming pools, theaters, and restaurants in Topeka, Kansas. He was one of the attorneys who filed the landmark case, Brown v. Board of Education of Topeka (1951). The U.S. Supreme Court, in a unanimous opinion issued on May 17, 1954, declared that racial segregation in public schools was unconstitutional. The Charles S. Scott Sr. Law Scholarship Fund was established by family and friends of Charles Scott at Washburn University School of Law in 1989 to honor one of the great civil rights leaders in America. The endowed fund provides financial assistance to Washburn Law students, with preference given to African American students. At the age of 32, John Scott, '47, earned his place in history when he joined his brother, Charles, in a fight for the educational equality of all children. 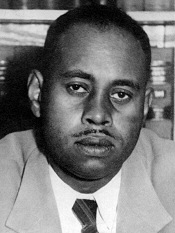 He and Charles represented plaintiffs in several cases that sought to allow blacks access to swimming pools, theaters, and restaurants in Topeka, Kansas. He was one of the attorneys who filed the landmark case, Brown v. Board of Education of Topeka (1951). Although the case was unsuccessful at the District Court level, it was overturned unanimously by the U.S. Supreme Court on May 17, 1954. In 1954, John moved to Washington, D.C. to work as an assistant solicitor for the Department of Interior, where he continued to work until his retirement in 1984. Died: October 24, 1984 in Washington, D.C.
John E. Shamberg, '37, was elected president of the Washburn Law School Association from 1965 to 1970 and was instrumental in the campaign to raise funds to build a new law school after the 1966 tornado. Shamberg donated a gift of land in Johnson County, Kansas, to Washburn Law, making his donation one of the largest gifts from a single donor to date. He is a 1970 recipient of the association's Distinguished Service Award and a 1984 recipient of the Washburn University Honorary Doctor of Law. Shamberg was one of the designated lead counsel in the litigation of claims for the victims of the 1981 catastrophic collapse of the Kansas City Hyatt Regency Hotel skywalks. Shamberg was also involved in 20 cases in which children accidentally ingested a drain cleaner product. He was the first Kansas-based lawyer to be selected by the Kansas City Metropolitan Bar Association to receive the Dean of the Trial Bar Award in 1997. Shamberg is included in the highly selective The Best Lawyers in Americalegal directory. In addition, Shamberg has lectured widely on trial techniques and emerging concepts of tort law, and authored several papers on these subjects. Shamberg currently resides in Prairie Village, Kansas. Professor Raymond L. Spring, '59, joined the Washburn Law faculty in 1965, and served as Dean from 1971 to 1978. 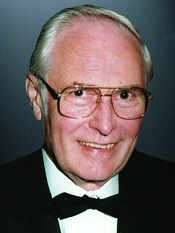 He was awarded the Distinguished Professor of Law in 1987. During Spring's tenure, the law school grew and the Law Clinic was established. Spring served as Washburn University's Interim Vice President for Academic Affairs from 1988 to 1991. He was licensed to practice in Kansas state courts, the U.S. District Court of Kansas, and U.S. Court of Appeals for the Tenth Circuit. Spring served as a member of the Kansas Board of Admissions of Attorneys and was on the Pattern Instructions Advisory Committee of the Kansas Judicial Council. His casebook,Patients, Psychiatrists and Lawyers: Law and the Mental Health System, is widely used. He also wrote The End of Insanity in which he argued for the abolition of the insanity defense, and that, in turn led to his 1984 appearance on the PBS program "Firing Line" to argue for the abolition of the insanity defense. He was the co-author with Dr. Roy Lacoursiere of a law textbook, Law and the Mental Health System, and the book, Patients, Psychiatrists and Lawyers. He received a joint appointment to the faculty of the Karl Menninger School of Psychiatry and Mental Health Sciences. Spring was a visiting professor at St. Louis University School of Law. He received the William O. Douglas outstanding professor award in 1980 and the Distinguished Service Award from Washburn Law in 1987. Dorothy Davidson Tyner, '41, was appointed to a full-time faculty position in 1942 at Washburn University School of Law holding the title Instructor of Law, the first woman to hold a full-time position at a Kansas law school and one of few in the nation at that time. Her classes included Property II, Federal Taxation, Domestic Relations and Legal Bibliography. In addition to teaching, she moonlighted, doing corporate tax returns for an accounting firm. After leaving teaching in October 1943, she joined the legal staff of the War Production Board in Kansas City. The following year she moved to Juneau, Alaska, working as an assistant enforcement attorney for the Office of Price Administration. In 1946, Tyner became the first woman to open a private practice in Anchorage. She was one of only eighteen lawyers, including a federal judge, listed in Martindale Hubbell for Anchorage in 1947. She later became Senior Law Clerk for United States District Judge Walter Hodge. In 1966 she accepted a similar position with United States District Judge Raymond E. Plummer. Two years later when magistrate courts were replaced by district courts, Governor Walter Hickel appointed her as District Judge for the Third Judicial District in Anchorage, the second woman district judge in Alaska. 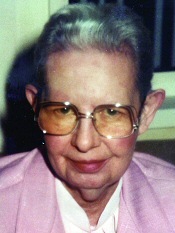 Tyner served as District Judge until her retirement in 1977.